Biotal Supersile contains specifically selected, elite lactic acid bacteria to dominate ensiling fermentation and improve efficiency. Greater distances between farms, increasing yields, changing weather conditions, and time restraints – harvest time presents a unique challenge to all farmers, no matter what the season. Whether it’s haylage, sugar beets, corn silage, or grain corn; there’s a lot to take off the field and very little time to do it. By Inagra BVBA based in Pittem, BELGIUM. 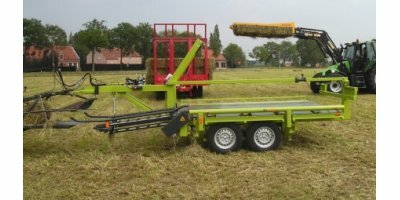 Wrappers are used for wrapping single bales of hay with proper humidity of grass and papilionaceous plants, used to ensilage in form of haylage. Wrapping with foil is done to prevent influence of weather conditions on hay mass formed in a bale, allowing for adequate fermentation inside the wrapped bale. By KME-Agri based in Littleborough, UNITED KINGDOM. The New Harvestore Talon Chains - Introducing an unloader chain that will claw, grip and pull like no other before it. By Ontario Harvestore Systems based in Innerkip, ONTARIO (CANADA). By Kirby Mfg Inc based in Merced, CALIFORNIA (USA). Aulick Industries now offers a chain floor trailer we call the Aulchain. 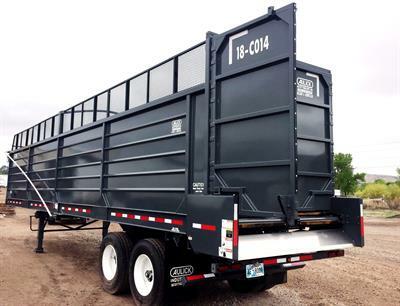 The Aulchain trailers are built to haul bulk farm commodities with a large volume and quick unload times. 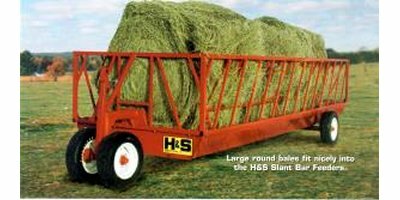 For spreading over layers of baled hay in storage (15% to 25% moisture), mix 5 pounds of Silo-King with 25 pounds salt and apply 2 to 4 pounds per ton of hay. By STS Olbramovice s.r.o. based in Olbramovice, CZECH REPUBLIC. 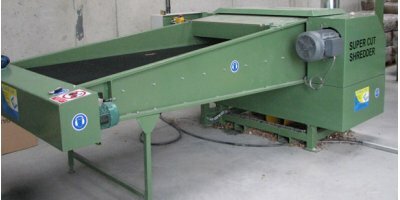 A complete system for manufacturing cardboard bedding for animals which is dust free and highly absorbent, the bedding produced far exceeds the performance of other bedding materials like wood shavings , paper bedding , chopped straw etc. 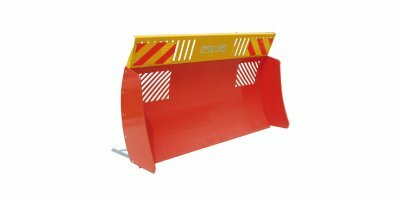 Provide an even and absorbent bed of straw with a Tomahawk 7100.